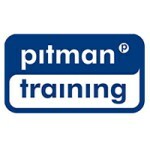 You couldn t get better shorthand training than from Pitman Training. If you have completed our Teeline Fast course and want to increase your speed, or are looking to hone your speed skills, then our Shorthand Fast course is for you. we will help you achieve a steady increase in your shorthand speed, dexterity and mental word-holding. The course uses dictation materials of between 40 and 80 words per minute and includes shorthand outlines. There are exercises, quizzes and crosswords, all designed to help build speed fast.